Hey hey! We've reached the end of July. Here's my unblogged files! July was finally, finally, a quiet month - hooray! Apart from a weekend away in the Dandenongs, I trained at the gym a lot, had a few low-key catch-ups with family and friends and that was about it. I even had - gasp - a few nights where I didn't go to the gym OR go out for dinner and managed to just relax at home. Yay! I had a go doing Dry July - i.e. no alcohol over July. 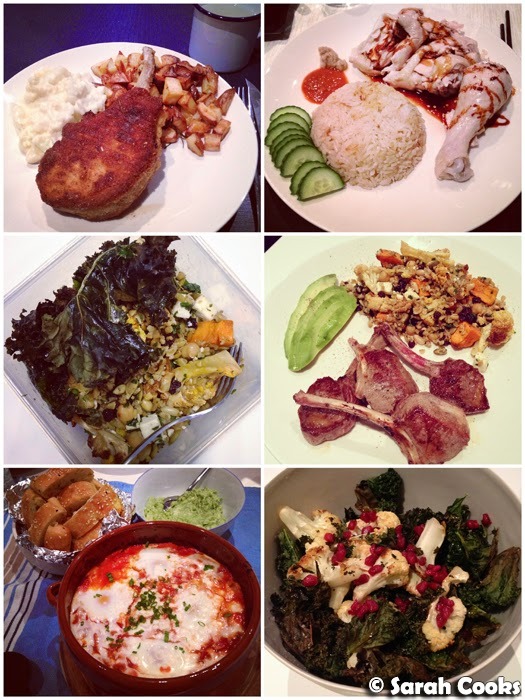 I don't drink heaps anyway, not more than a glass of wine or two once or twice a week, but I overdid it a little at that Cloudy Bay and Duck dinner at David's at the end of June and wanted to just give myself a break, save some money and cut out some calories. Spoiler alert: it was easy! Phew! So, like I said, we spent a weekend in the Dandenongs - obviously we visited Shannon Bennett's Piggery Cafe - but other than that we mainly just relaxed at our cute little B&B, and I managed to get German Sandra to finally watch The Castle! 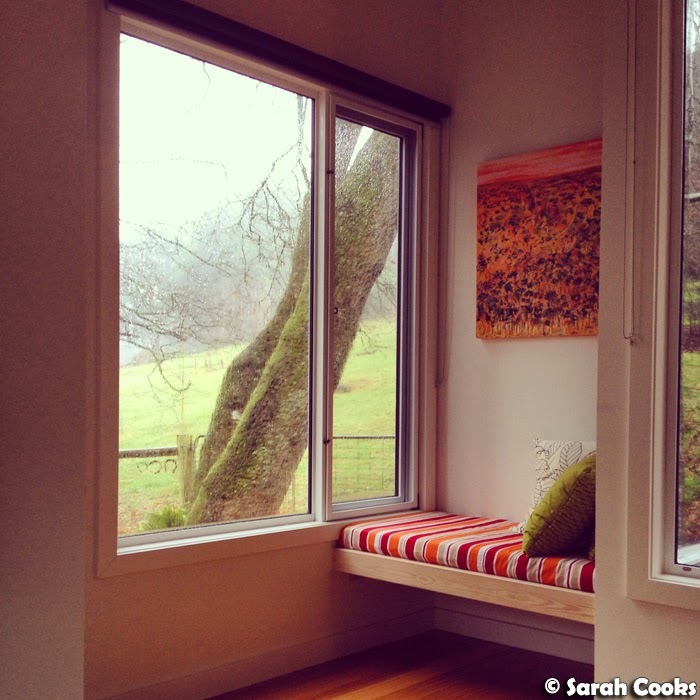 How's the serenity? 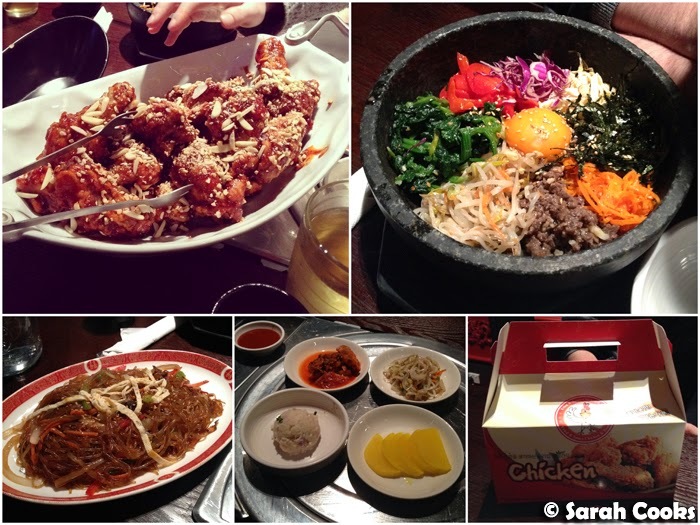 After all that sugar, we needed something savoury, and went to nearby Mui Korean restaurant (Level 2, 258 Lonsdale Street, Melbourne) for bibimbap and insanely hot "fire" fried chicken. Later that week, we had dinner with my friend D-Slam and her new man-friend at Taxi Kitchen (Level 1, Transport Hotel Federation Square, Cnr. Swanston & Flinders Streets Melbourne, VIC 3000). 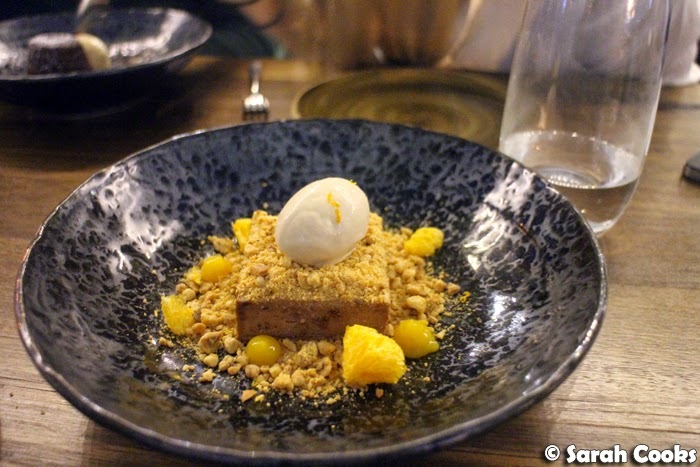 I liked the atmosphere and the food, and this dessert of macadamia and honeycomb parfait with hazelnut parfait was particularly impressive. Blogpost to come. 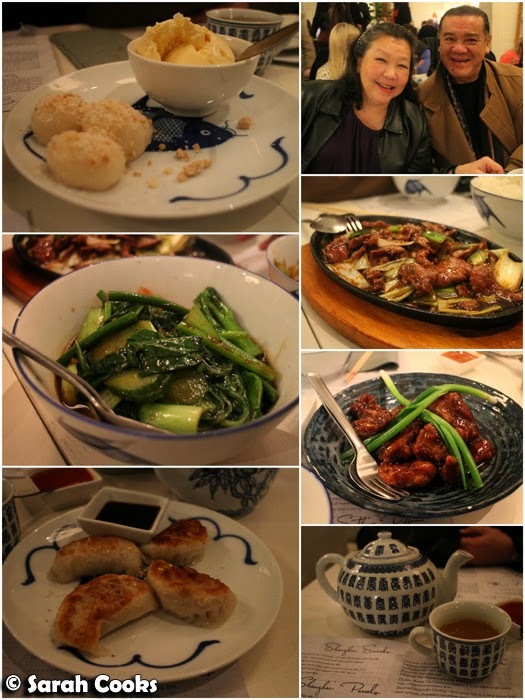 After what seems like the longest time, we went to Beatrix (688 Queensberry Street, North Melbourne VIC 3051) again. Yup, it's still amazing. I challenge you to resist the Greenslade! 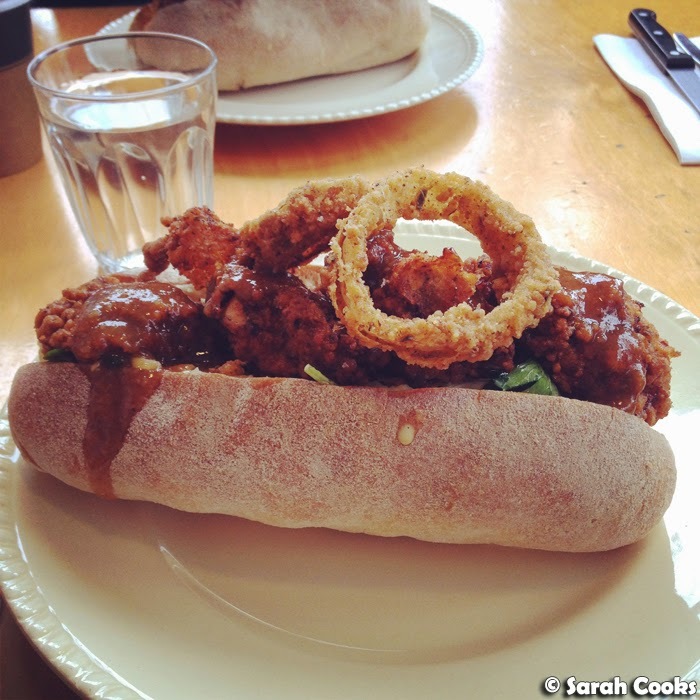 It's a ciabatta filled with fried chicken, gravy, chow-chow pickle slaw, mashed potato and onion rings. ...and on her actual birthday day, we took her out for a girls' lunch. 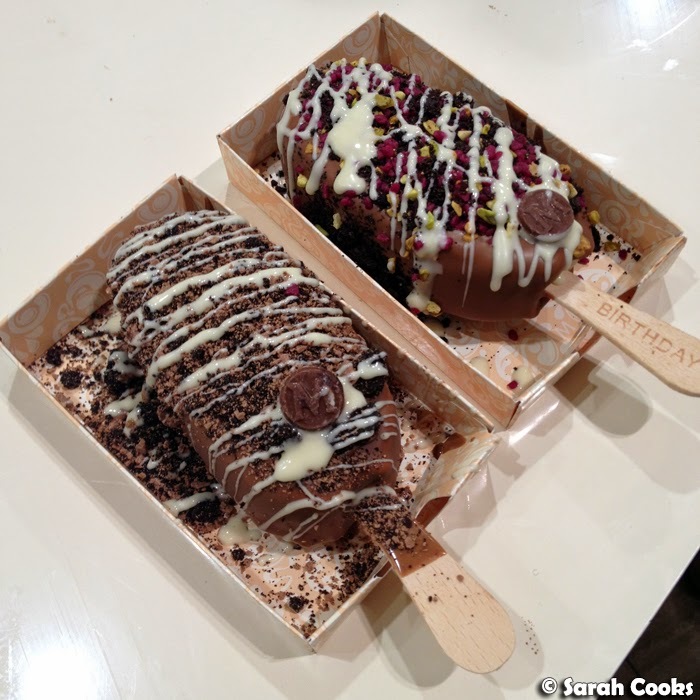 We'd planned to go to LBSS cafe on Victoria Street for something a little different, but the Sunday queues were nutso! 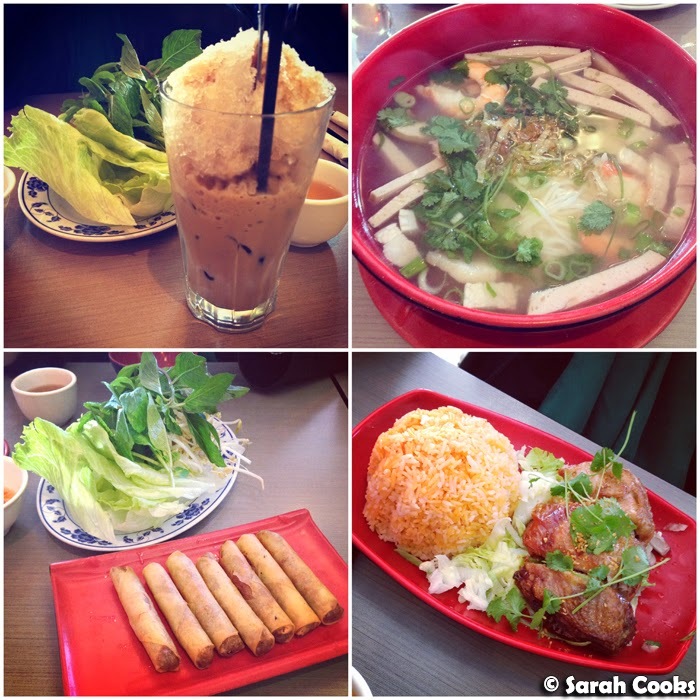 So in the end we just had a really casual lunch at Thanh Nga Nine (160 Victoria Street Richmond, VIC 3121). Oh well, it was still yummy, and being together is the most important thing, amirite? The next weekend we went to Ayam Penyet Ria (248 Clarendon Street, South Melbourne, VIC 3205) for yummy Indo food with an Indonesian friend of ours who suggested the venue. It was awesome! 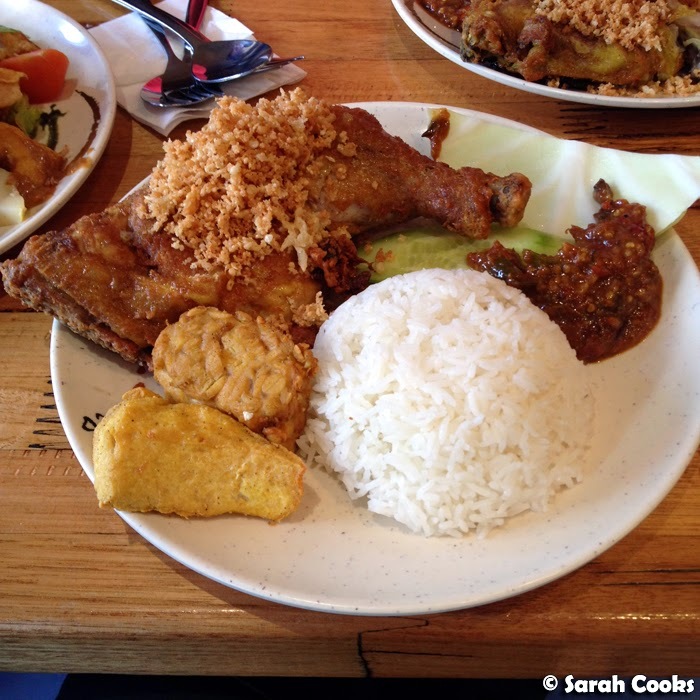 I loved the ayam penyet (crispy fried smashed chicken) with rice, tofu, tempeh (yeeeeeah baby) and a super super hot chilli sauce. 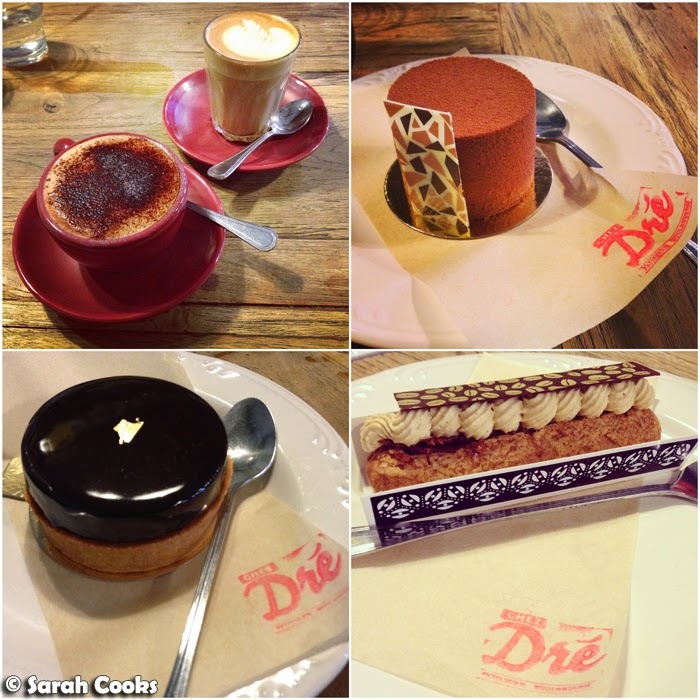 Then we walked around the corner for cakes at Chez Dré (Rear of 285-287 Coventry Street, South Melbourne 3205). Being a Sunday, there was a bit of a queue - lucky we weren't starving but just in the mood for a little something something sweet. I was seriously impressed by the cakes! The chocolate tart and "milk, dark & white chocolate" were so perfect and delicious, but the tiramisu eclair was no slouch! Random: I met Chef Wan! 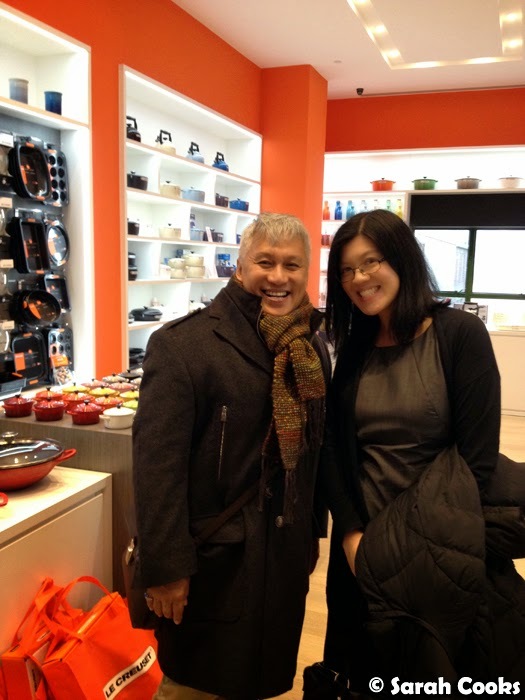 He's a Malaysian celebrity chef and was seriously just hanging out in the Le Creuset shop in Emporium. He was very sweet and happily posed for a photo with me. Yay! 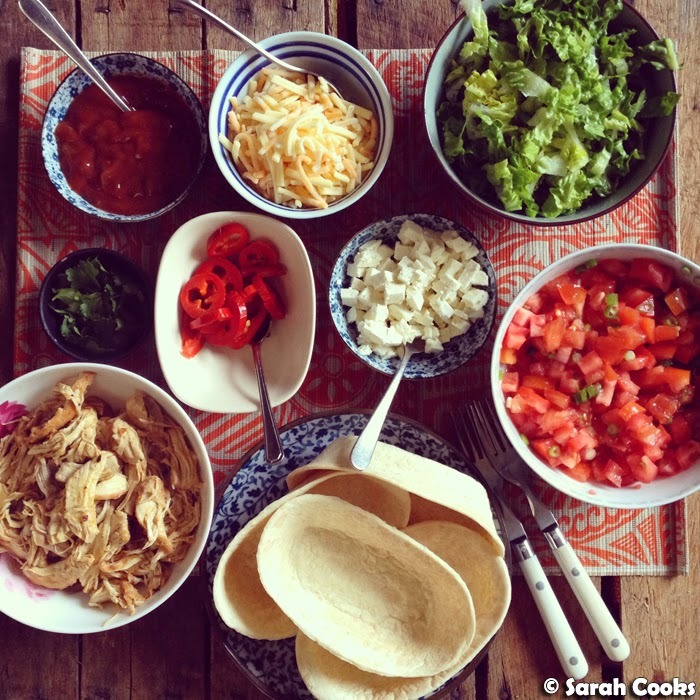 This month I got sent some samples of the new Old El Paso range (Stand'n'Stuff tortillas, red jalapeños and tinned black beans), so we took the opportunity to have a little Mexican lunch party with my Mexico-loving cousin and her Mexican boyfriend. It was true genius, Mexican style. Interestingly enough, I got sent heaps of samples in July - I think I'll do a little round up post about all of them soon so I can waffle on in more detail. 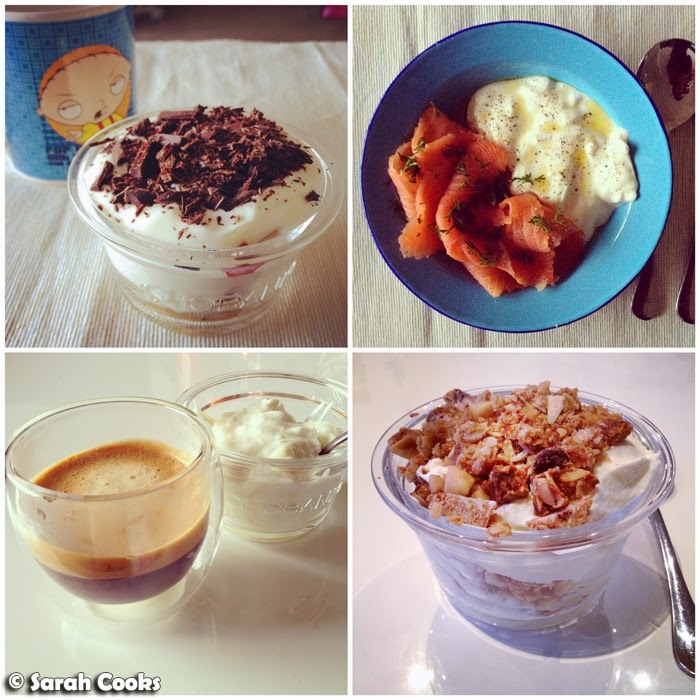 And of course, I wanted to share with you my breakfasts! The avocados are back! 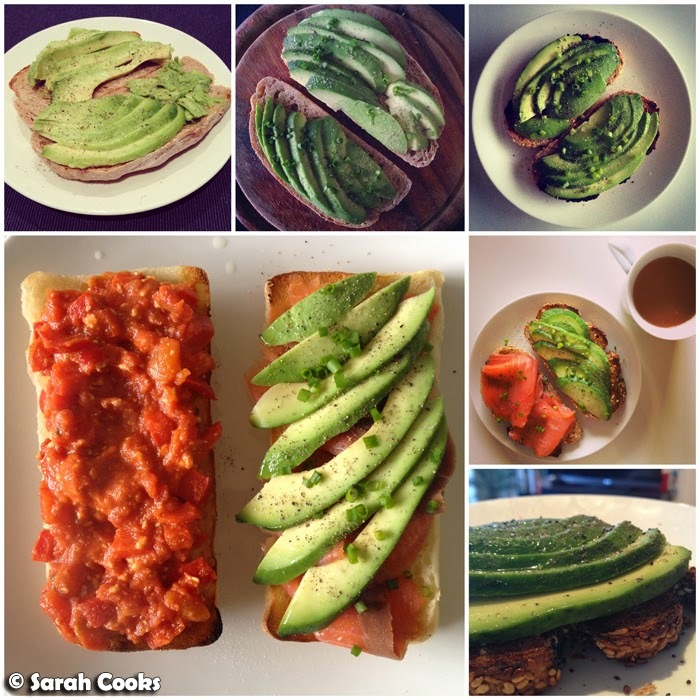 I've bought a monthly subscription to Barham Avocados avocados, and I LOVE them! This month it was the bacon variety, which are delicious but so frustrating because they take ages to ripen in this cold weather, and need to be really really squishy before you can even think of cutting into them. (With the first one, I cut it too early and it was disappointingly dry and hard, so I had to leave it for a few days, wrapped up in the fridge, before it became edible... but I got the hang of them eventually! And on the plus side, they never turned too squishy or brown - even when they seemed overripe, they were always bright green, creamy and perfect on the inside). The end-of-July delivery was the Fuerte variety, and I'm patiently waiting for those to ripen. I'm looking forward to trying those - I hope they're yummy too! And I even jumped on the green smoothie bandwagon. They look scary but just taste like a regular fruit smoothie. 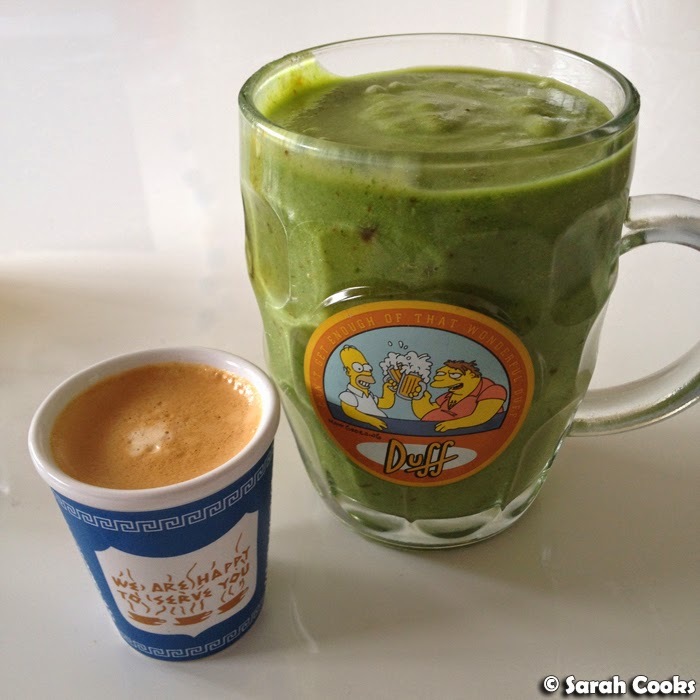 Following the formula from 100 Days of Real Food, I use 1 cup baby spinach leaves, 1 cup milk and 1.5 cups chopped fruit - they taste nice and are a good way to use up the different bits and pieces of fruit I have lying around the fridge! I've used, in varying proportions, a mixture of frozen bananas, frozen peaches, dates, frozen berries and even a little avocado to make up the 1.5 cups. Dee-licious. 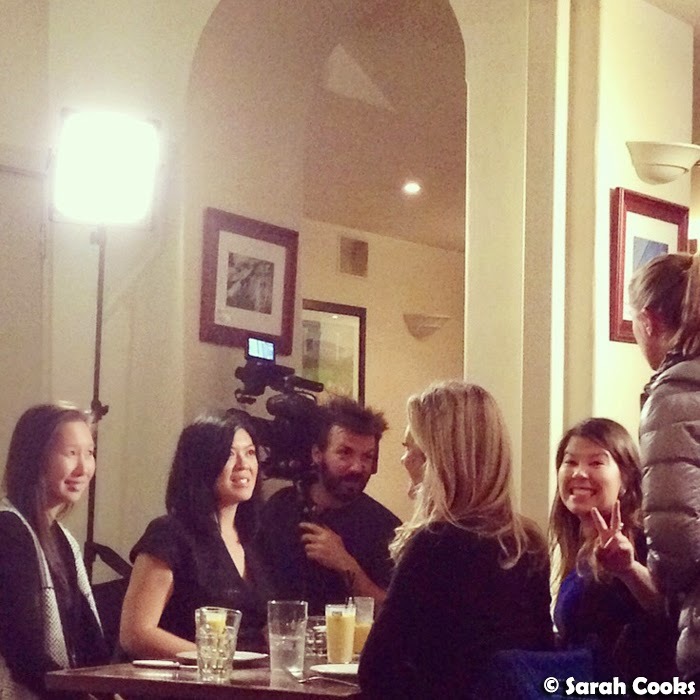 Another random thing that happened this month - I was an extra on Food Paradise, which is an American show on the Travel Channel. I have no idea when or where it will air, or if my bits will end up on the cutting room floor (I don't think I was very good, and I certainly won't be quitting day job! ), but it was a fun experience to try as a once-off. And finally: brownies. 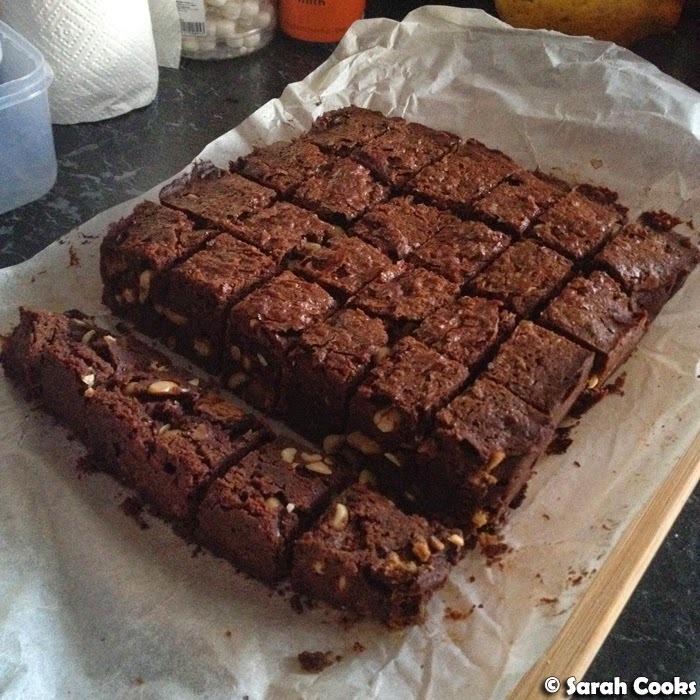 Belinda Jeffery's one-pan macadamia and chocolate chip brownies, from Mix and Bake. Sandra made these to share with her coworkers, and I got some too, muahaha! Based on what we had in the cupboard, she replaced the macadamias and chocolate chips with salted peanuts, Reese's peanut butter cups, white chocolate chips and milk chocolate chips. They're so good, easy to make and super moist and rich. Yum! And that was July! August is shaping up to be a busy month - lots of events and dinners coming up, which I'm really looking forward to. Bring it on! I always get so hungry at these posts. It was probably a bad idea to read it just before breakfast. I didn't realise that there was a type of avocado called a bacon avocado! Happy birthday to your mum! And omg that ayam penyet looks glorious! Now that Sandra's watched The Castle, time for The Dish. And then SeaChange. JOY. Her adaptation of the brownies is far superior, too. I have NEVER heard of a bacon avocado...it's always been the plain Hass ones for me!